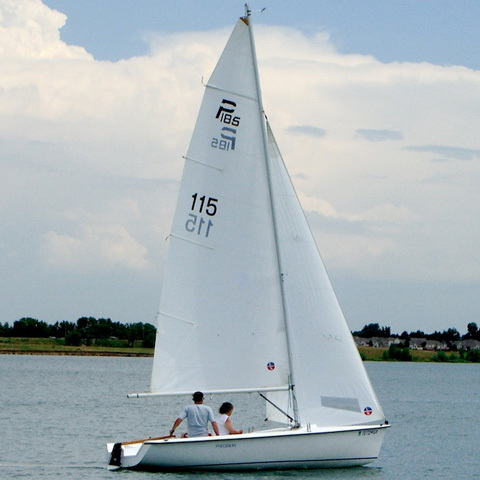 Mast Height above DWL: 27'3"
This sailboat has only been in fresh water, sailed 25-30 times. I am the first owner. Purchased in 2005 the boat has always been stored indoors (garage), never in the weather. She is fast, and comfortable to sail. Sails and equipment are original and in great shape. The main sail has one set of reef-points. 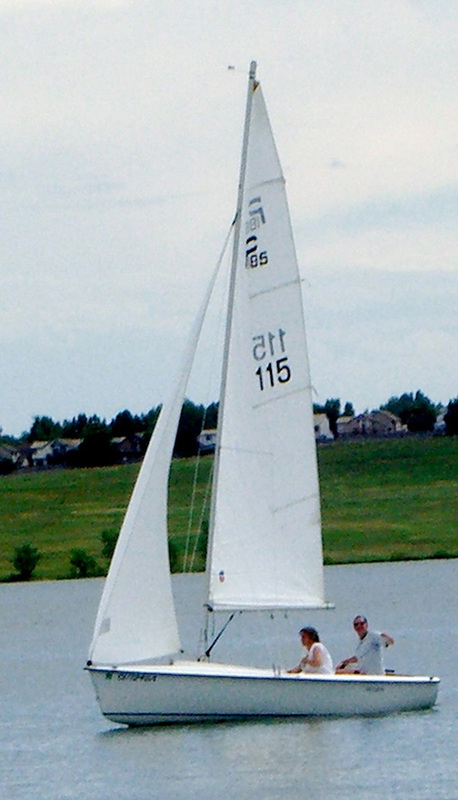 The mast has a slot and pulley for an additional jib, jib-sock, or spinnaker. 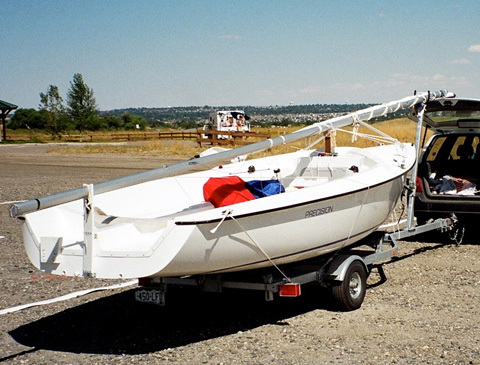 Includes the sailboat, all original running rigging, original sails with sail bag, plastic covers on the standing rigging, original ice chest, a wind indicator, anchor, trailer, cunningham, boom vang, and a small parts kit.